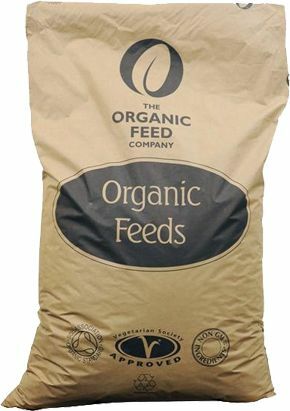 Organic Ewe & Lamb Feed is a medium energy feed for lactating ewes. Fed alongside good quality hay or silage, this feed will provide the ewe with all the essential protein digestable energy, vitamins and minerals essential for producing healthy lambs. Ewes – maintenance feed up to 0.5kg/day in two feeds. Prior to tupping 0.25kg-0.50kg/day. Six to eight weeks pre- lambing, gradually increase from 0.25kg/day to 0.5kg-1.0kg/day depending on conditions, grass etc. Lambs: early season, introduce from about seven days old. Start with small quantities (0.1kg/day) and build up to 0.5kg/day depending on size etc. Late season may be fed from weaning to adult up to 1kg/day. Introduce a new feed gradually over 7 to 10 days to help a smooth change over. This feed should be fed with ad lib fresh water.